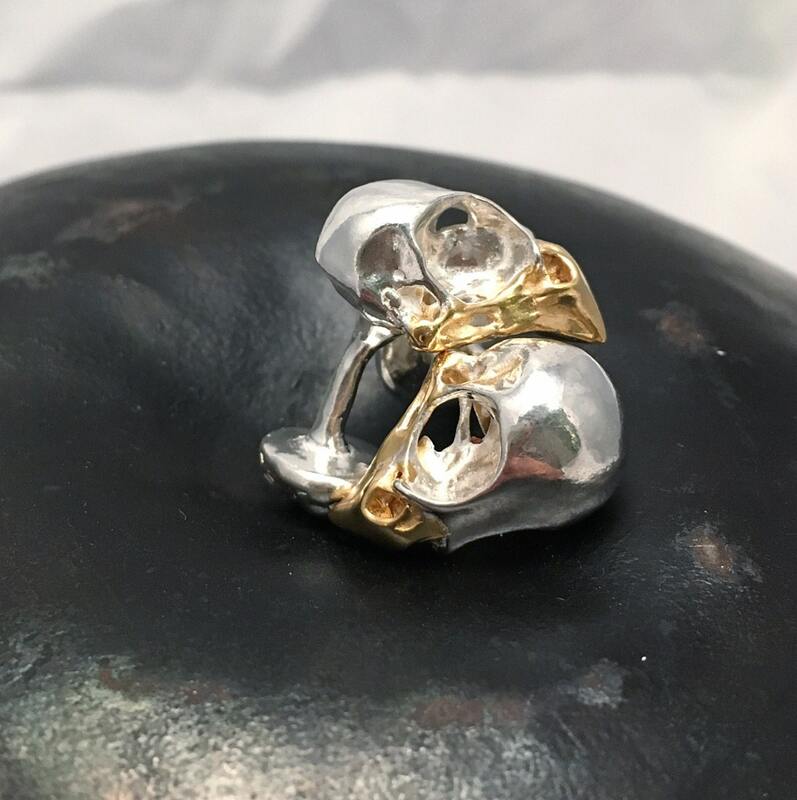 Gorgeous cufflinks with style and attitude. 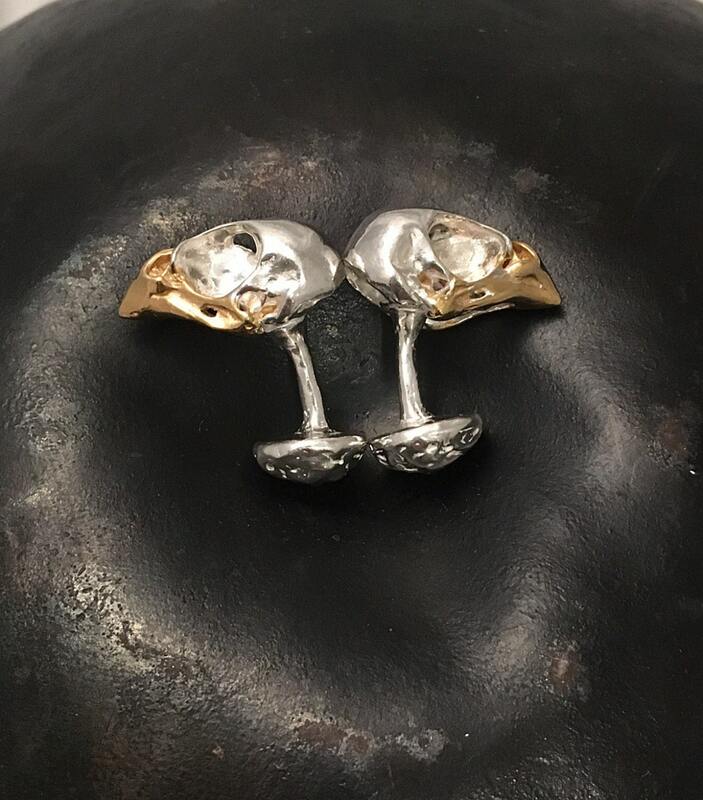 The skulls have been cast from a real bird skull which makes these cuff links unique. 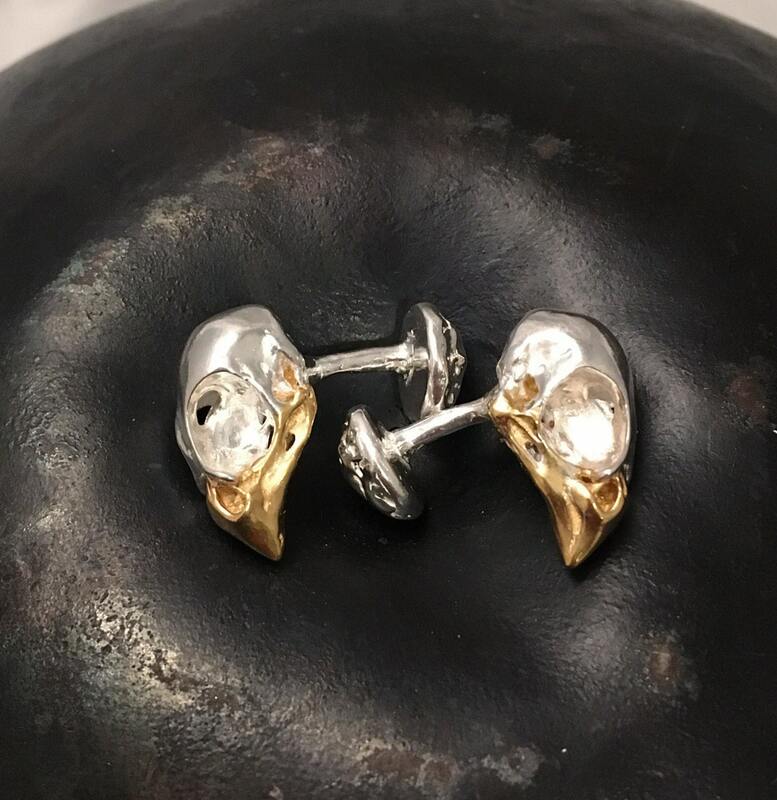 The skull and cuff are made from sterling silver and and the beak has been plated with 24ct yellow gold. 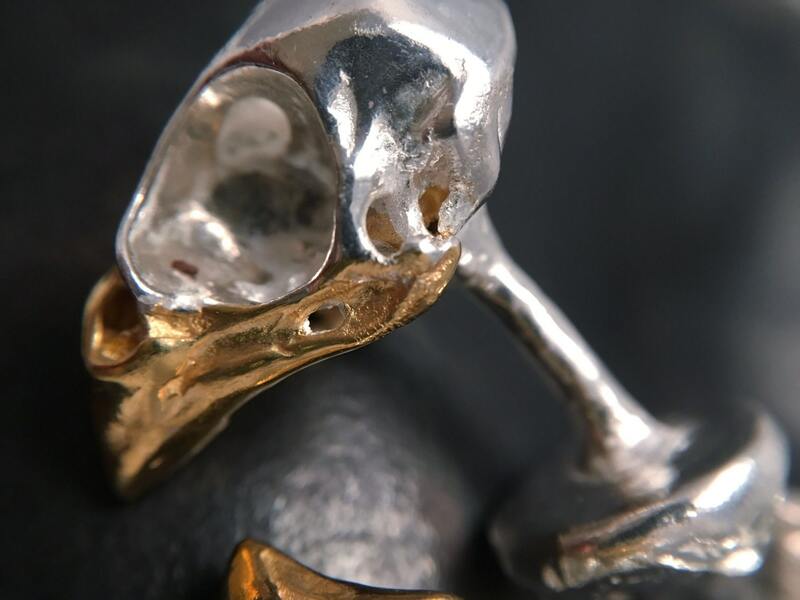 The skulls are 2.17 cm long and 1.3 cm wide. 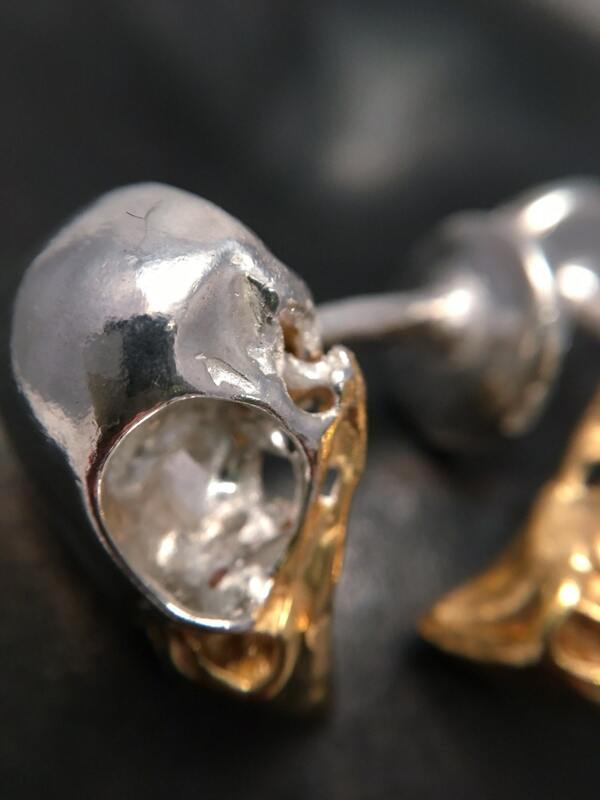 Exquisite items with fine anatomical detail.